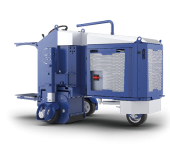 Regardless of the pavement type, runway friction characteristics will change over time depending on the type and frequency of aircraft activity and weather conditions. 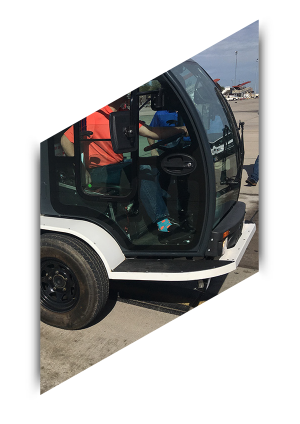 In addition to ordinary mechanical wear and tear from aircraft tires, contaminants can collect on runway pavement surfaces which decreases their friction properties. 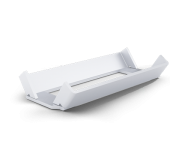 Accidents and near accidents can occur from planes overshooting or veering off contaminated runways. 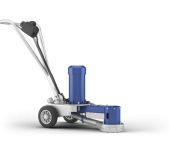 It is therefore essential to maintain the airport runways to the highest possible standards and to ensure adequate surface drainage and grip, especially in areas of take off and landing. 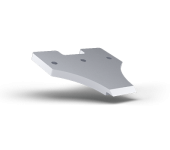 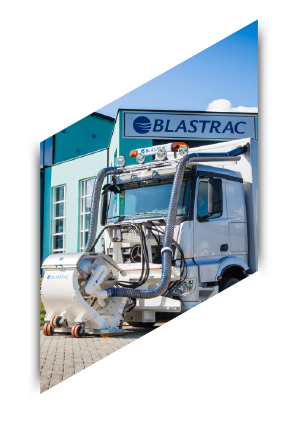 Blastrac continues to develop technologies in order to reduce the braking distance of airplanes. 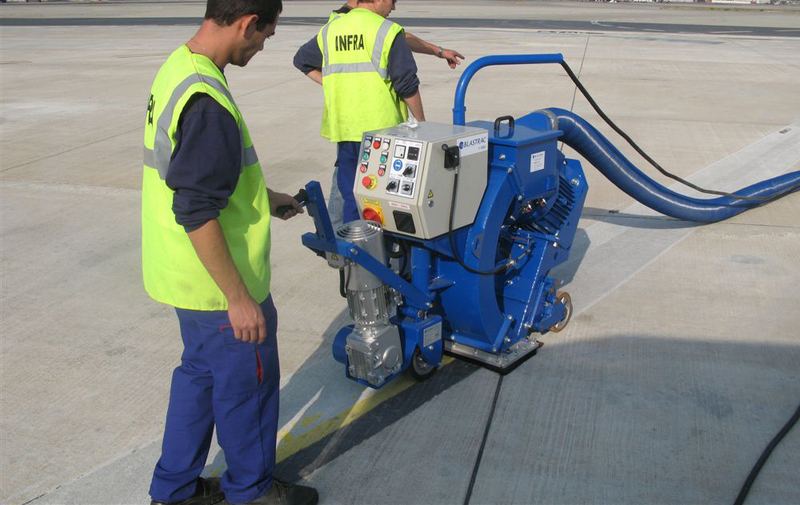 Over the years we have developed different technologies to maintain the runways. 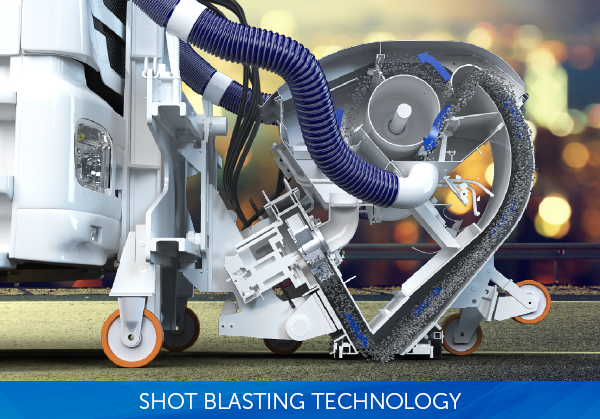 Retexturing the surface by applying Ultra-High-Pressure blasting or shot blasting technology has been repeatedly demonstrated to be an important key for successful friction improvements. 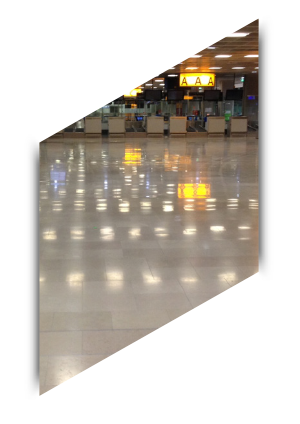 As aircraft landings take place, the traffic wears down macro-texture and micro-texture as contaminants build up on the runway pavement. 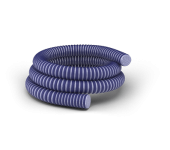 This build-up of rubber will decrease water drainage and friction to the point where safety may be diminished. 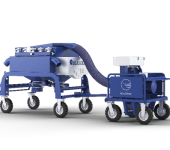 Removal of excessive rubber from the runway is to maintain safe operations. 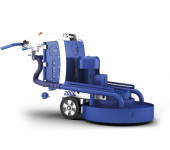 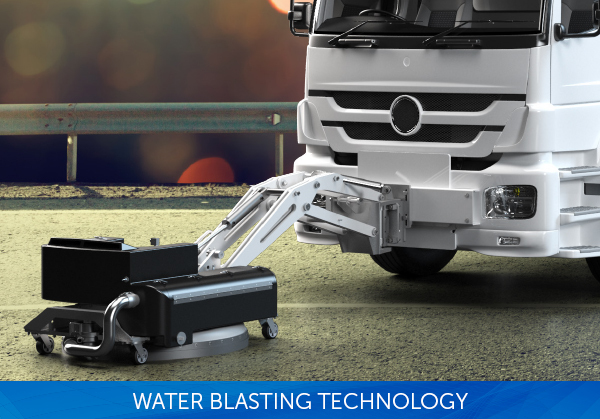 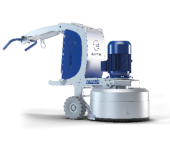 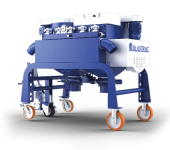 A very efficient and cost effective method for removing rubber deposits from a runway or new surfaces which have a coating of bitumen binder over the aggregate particles is Ultra-High- Pressure Water. 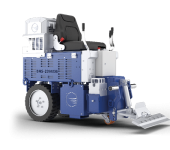 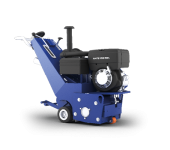 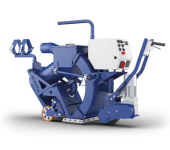 Because pavement quality varies, equipment that enables variable pressure settings should be selected to avoid surface damage. 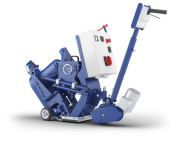 Machine productivity (rubber removal square meters per hour) is another important consideration. 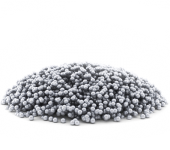 In cases where temperatures are below freezing, fresh water supply is an issue or micro-texture improvements are required, shot blasting should be used for rubber removal. 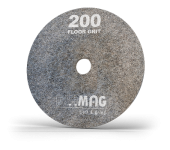 Macrotexture is the space or voids between the aggregate particles. 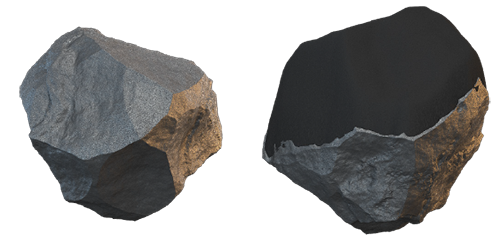 The texture depth / macro texture of an asphalt pavement surface will normally be between 1.0 mm to 1.5 mm. 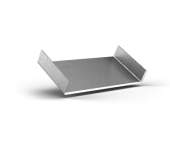 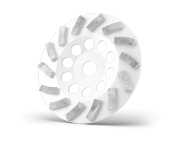 It is this macrotexture which allows the water to drain away from the surface and greatly contributes to skid resistance in wet conditions. 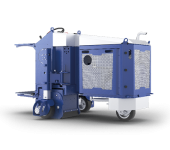 Both Ultra-High-Pressure Water and shot blasting are a very cost effective, environmentally friendly and high performance technology for reducing the danger of slippery runways. 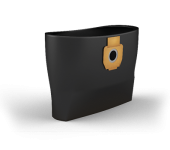 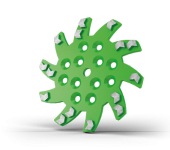 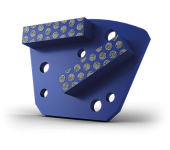 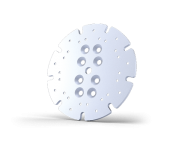 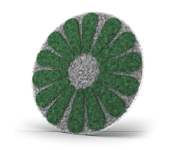 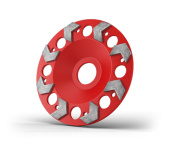 It will remove rubber deposits and will bring the surface Macro texture back to that of the aggregates ability. 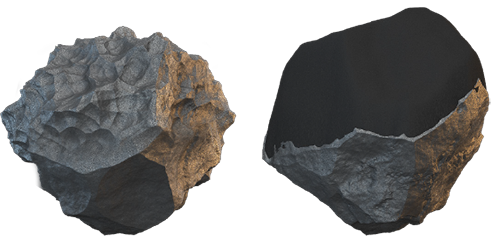 In some cases when friction recovery maintenance has been neglected, macro-texturing can only be accomplished with shot blasting. 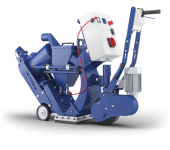 Microtexture is the fine component of surface texture formed by the tiny interstices on the surface of the aggregate particles. 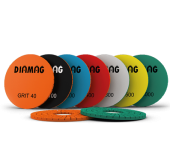 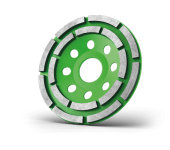 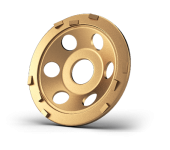 It is the main contributor to providing grip or skid resistance with the tyre, particularly at low speeds. 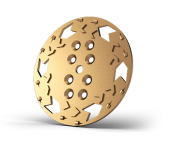 Microtexture is measured by PSV using the British Pendulum Tester or by mobile methods such as the Griptester or SCRIM. 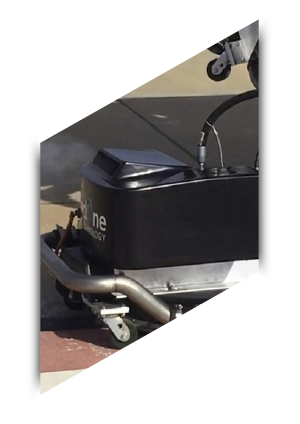 nShot blasting is the only technology that will restore Micro-Texture values to pavement surfaces. 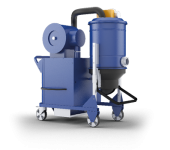 Improvement of Micro texture with the shot blasting process is extremely effective. 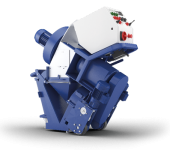 It will in all cases bring back the full benefit of the PSV of the aggregate as per its original properties. 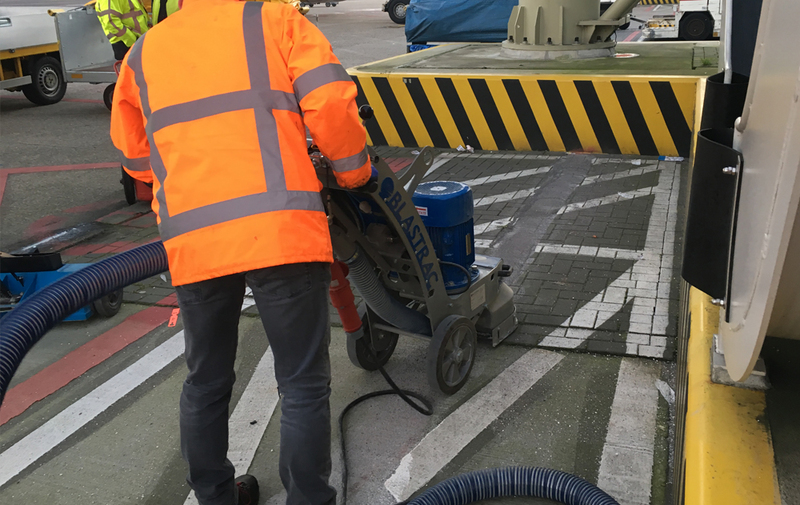 Chemical spills and general contamination of gate areas is a problem that needs to be addressed for safety and aesthetics concerns. 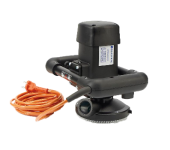 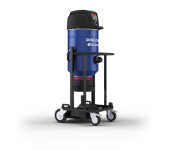 High pressure water cleaning devices (1600 to 5500 PSI) are most frequently used. 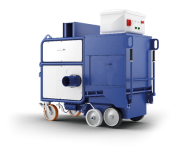 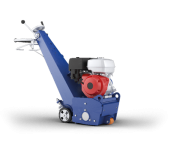 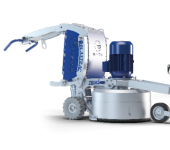 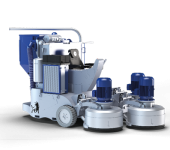 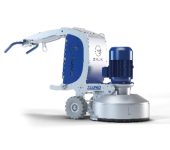 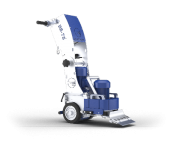 Ride on units with recovery / reclaim systems are the most efficient because they eliminate the need to collect waste and waste water using vacuums and labour. 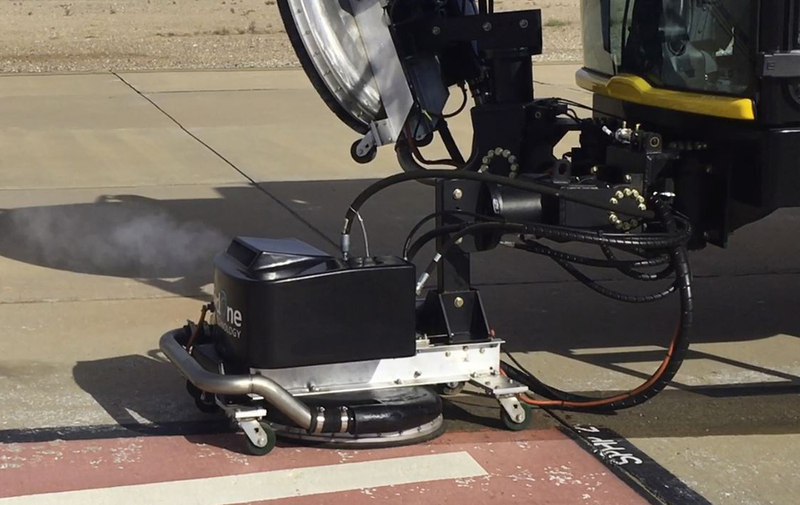 To avoid removing and replacing expensive line material, the same technology can be used for cleaning the line markings. 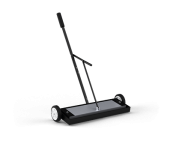 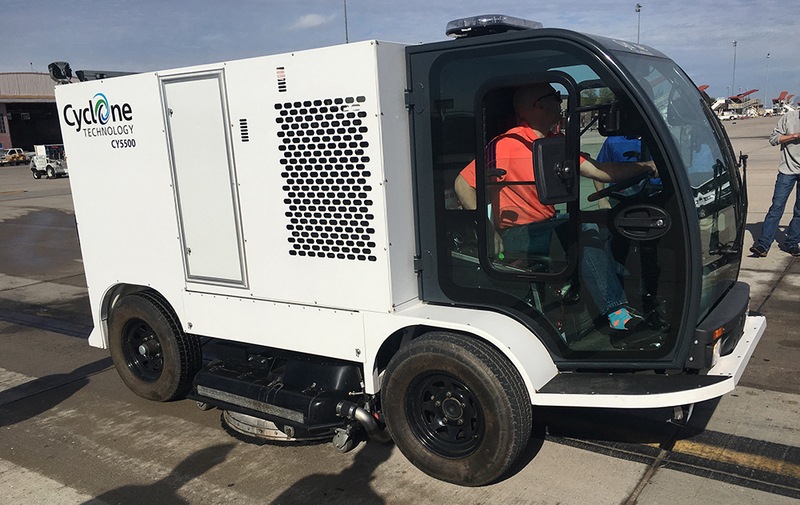 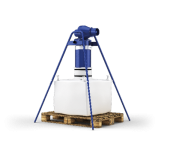 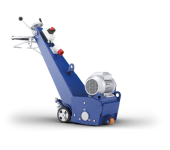 Especially for smaller, or when ingress/egress to the area is restricted, a walk behind attachment can be connected to the high pressure water vehicle. 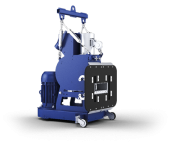 Ultra-High-Pressure Water has proven to be the most cost-effective approach for thermo-plastic line removal. 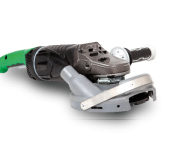 Grinding with a bush hammer tool will also work for the smaller or more remote areas. 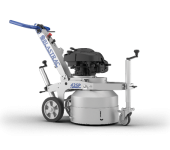 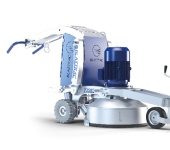 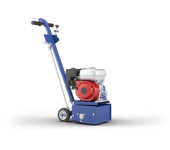 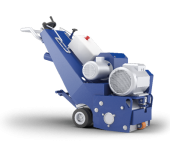 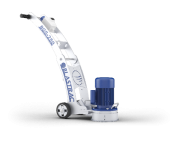 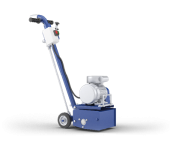 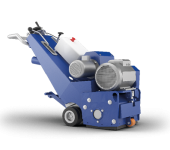 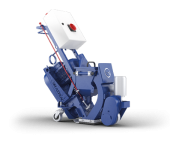 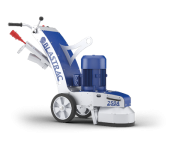 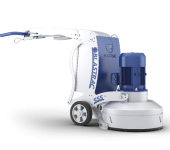 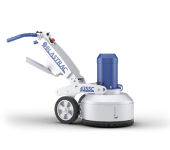 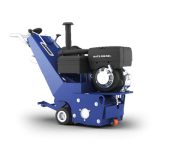 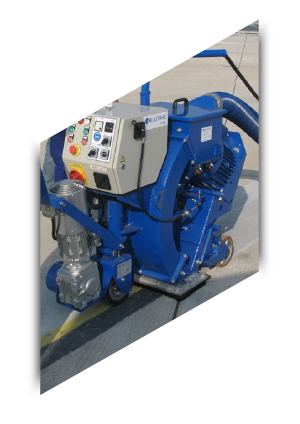 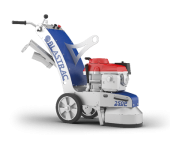 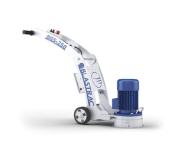 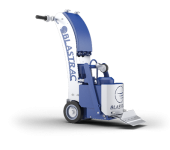 Blastrac scarifying machines are extremely suitable for thermoplastic line marking removal. 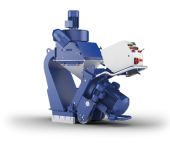 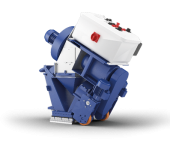 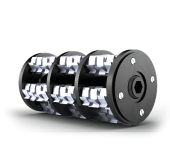 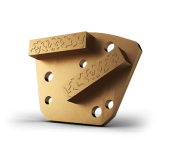 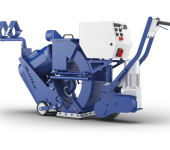 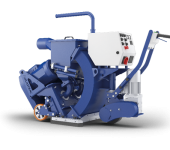 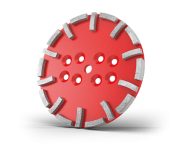 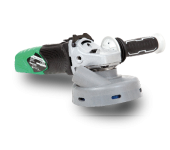 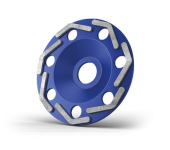 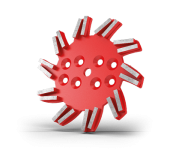 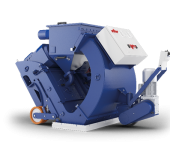 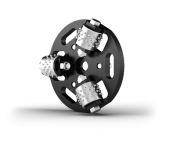 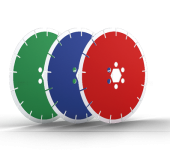 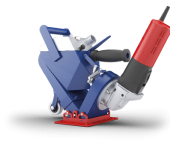 A rotating drum with a variety of different cutters is loosely fitted onto lateral shafts. 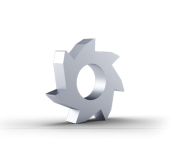 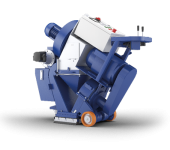 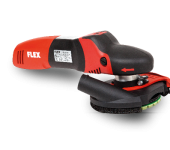 The rotating drum generates centrifugal force which ‘throws’ the cutter at the surface to be treated, causing a mechanical cutting action. 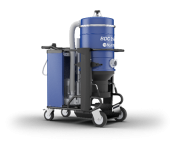 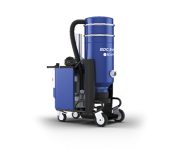 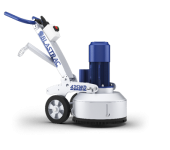 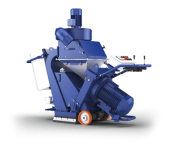 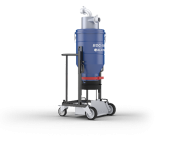 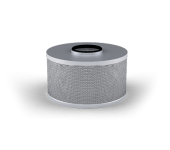 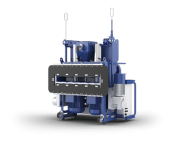 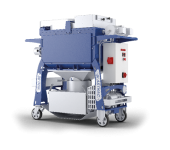 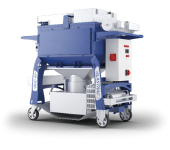 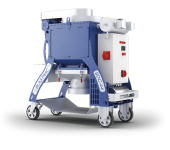 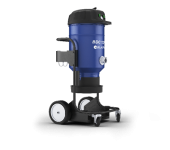 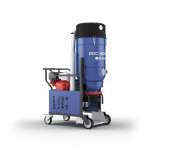 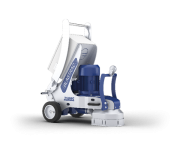 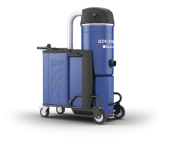 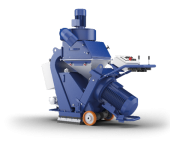 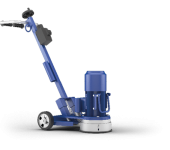 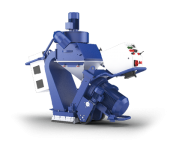 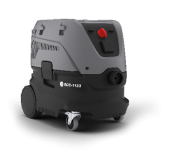 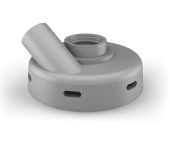 By removing contaminants with a direct suction system and the addition of extra filtration the system is dust-free. 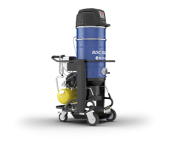 Depending on the basic material (concrete, asphalt, terrazzo, marble, natural stone) and colour, the different depth you polish to, texture and depth of your aggregates, you can create any result with a perfect shiny finish. 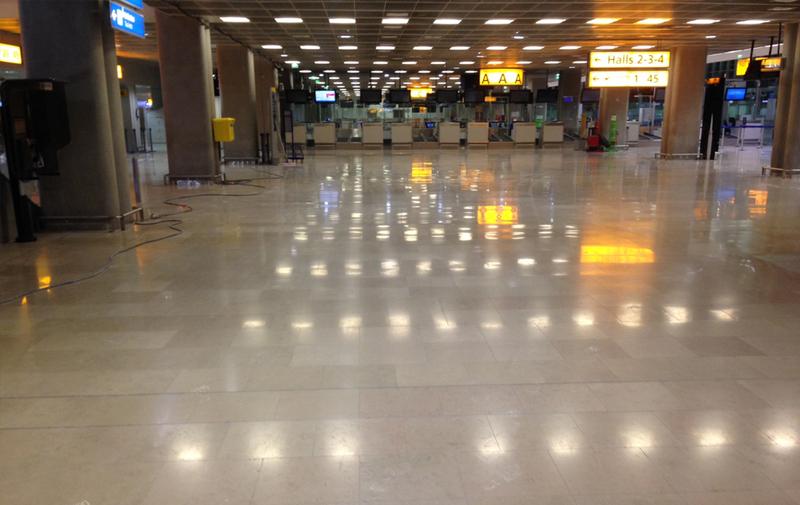 Polished surface floors are low-maintenance, as they are more durable and easier to clean than many flooring options. 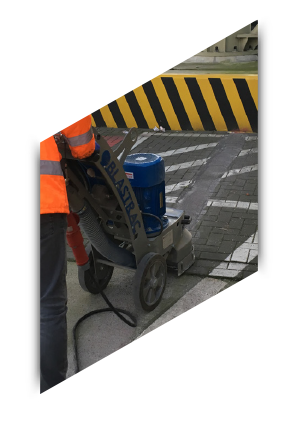 For outside areas bush- hammering is a process which enables you to achieve a similar effect as natural cut stone, with a concrete surface as basis. 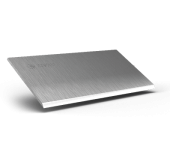 Bush-hammered concrete is the ideal solution to have a natural effect, less smooth than the polished concrete, less rough than the brushed or blasted concrete and less decorative than the stamped concrete.